The son of rap mogul Sean "Diddy" Combs has been heavily critisized for accepting a football scholarship from UCLA that critics say should go to a more needy student. 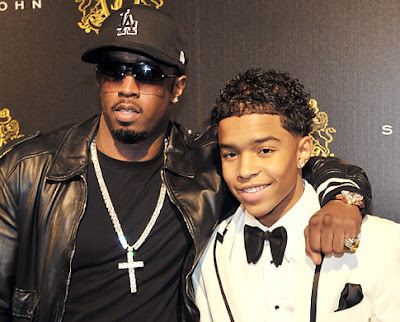 Justin Dior Combs whose father topped Forbes list of hip hop's wealthiest this year with a net worth estimated at $550 million will attend the University of California, Los Angeles to study business finance and play football on a schorlarship that will provide $54,000 a year toward his education. That has not stopped some critics from saying justin shouldn't have accepted it because he comes from a wealthy home and the schorlarship should be given to a more more needy student . Justin Combs, in response to a CNN story about his scholarship, took to Twitter on Tuesday to say that he earned the scholarship. "Regardless what the circumstances are, I put that work in!!!! PERIOD," he wrote. "Regardless of what you do in life every1 is gonna have their own opinion. Stay focused, keep that tunnel vision & never 4get why u started.," Combs, who played in nationwide high school all-star game in Arizona in January, said in a follow-up post. UCLA said in a statement that unlike need-based scholarships for academics, the school's sports scholarships are awarded strictly on the basis of athletic ability. "Athletic scholarships, such as those awarded to football or basketball players, do not rely on state funds," UCLA said. "Instead, these scholarships are entirely funded through UCLA Athletics ticket sales, corporate partnerships, media contracts and private donations from supporters." UCLA hands out about 285 full athletic scholarships each year. Justin graduated from New Rochelle Iona Prep in New York with a 3.75 GPA, and got a free ride to UCLA on a $54,000 football scholarship. He also got scholarship offers from Illinois, Virginia and Wyoming, but chose the prestigious University of California. “Playing Division I football was a lifelong dream of mine, and through hard work I was able to achieve it,” he said. I think Justin is very good in both in sport and academics, he deserves it and am very proud of him unlike others that may rely on parternal wealth. Go on boy and get more !